How did we decide to grow Nebbiolo? Vignerons Karen and Prue of Virago Wines with their Nebbiolo grapes. My partner (Prue Keith, orthopaedic surgeon) and I, purchased our property in 2004. We knew a bit about the history of the property, as a parcel of the former Brown Brothers' Everton Hills vineyard, evidenced by the old terracing and posts and wires, but sadly, no surviving vines. There was a bit of viticultural heritage that we felt should be honoured as the new owners of the property. A friend suggested that we plant nebbiolo because it is distinctive, slightly unconventional… a bit like us! 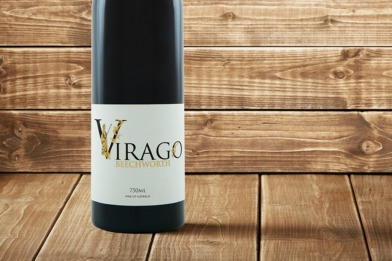 Several winemakers in our area were experimenting with Nebbiolo, and we were convinced that we could be part of the second gold rush in Beechworth. Rocko Esposito at Wardens was more than happy to open bottle after bottle of Barolo, Barbaresco, Langhe Nebbiolo at dinner after dinner, so that we could be seduced by what the breathtaking grape can produce in bottle. Having succumb to the fascinating lure - Fast forward to August 2007, the old terracing had been smoothed out (it was too steep and dangerous for a tractor), irrigation system installed, sturdy poles hammered into the rocky soil, kilometers and kilometres of VPS wires run by our teenage son. Ready to plant 2,200 Lampia clones, six different clones to make the winemaking more interesting (and the viticulture more difficult). 2008 was a hot, dry year, and our 2.5ML dam was not full enough to sustain life for one quarter of our vines. Not a good start to lose 25% in the first year, even worse to not be able to replant for two years, August 2009, due to a mix up with the vine order, and shortage of the clones that we wanted. A few of our more vigorous vines insisted on producing a small crop in 2010, and pushed our winemaking decisions forward unexpectedly. One year of wine science study at Charles Sturt University was not nearly enough to convert this accountant into a winemaker, so the search began. Rick Kinzbrunner generously agreed to make our small barrel in 2010, and has continued to do so each year, much to our delight! Our first commercial harvest was on schedule for early April 2011, and a cooler, wetter than normal year was providing an excellent growing season for our toddlers.....until the arrival of flocks and flocks of noisy friarbirds, more than had ever been seen in this area before (and since). Little known fact about noisy friarbirds...they have excellent taste in grape, Nebbiolo is a favourite. Gas guns, scarecrows, angry vignerons could not prevent the decimation of over one-third of our crop. Our 1600L Gamba tank was barely filled that year, thanks to a subsidy of one bin of Nebbiolo from our neighbour, Indigo Vineyard. I think the real question that we continually ask ourselves at Virago is not "why we planted Nebbiolo? ", but after the debt, death, and destruction, "why we persevere with Nebbiolo?" There many facets to that answer, all of which hold the attention span of this vigneron, and wine drinker, who would have probably become bored with the entire venture, had it been started with any other grape variety. Nebbiolo IS difficult in the vineyard, but that is what makes it so intriguing. Nebbiolo is different in every soil, in every climate, and I would argue, in every vineyard. It is finicky, yet responsive. It requires constant attention, and rewards you immensely for your efforts. A classic example are the nine single vineyard wines of the Produttori del Barbaresco. 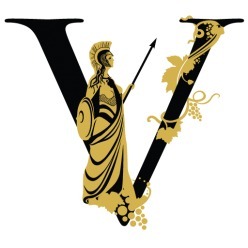 They are vinified identically in the winery, yet they each reflect the personality of their individual vineyard in a remarkably consistent manner from year to year. Nebbiolo can also be difficult in the winery. The secret is to treat it gently, and let it evolve at its own pace, and on its own path. We currently have three very different wines in bottle (2011-2013), and three quite different wines in barrel (2014-2016). One of the vintages is the polar opposite of the style of Nebbiolo that I would like to produce each year at Virago, but that is what the 2012 season gave us to work with, and there was no changing it, once it had been harvested! The good news is that there are many wine drinkers out there that love a big fruit driven Nebbiolo, and it was selected for the VIC100 wine award last year, so a lesson well learnt. Each year will produce a wine with its own individual personality (whether I like it, or not). The cumulative effect of the innumerable glasses of Nebbiolo that have passed my lips is .... obsession. The allure of the floral bouquet, the lushessness of red fruit, the whisper of earthy undertones, and the shiver of savoury tannins combine to create the perfect wine, in my humble opinion. The Italians have mastered the art of Nebbiolo, as those of us lucky enough to have enjoyed a bottle or two of Barolo and Barbaresco know all too well. I think that the challenge in Australia is to allow the variety to be an Australian Nebbiolo, reminiscent of its Italian cousin, but different. In my opinion, Nebbiolo has to be treated more gently than other varieties, it does matter where you plant it, and it will matter how long you let it age in barrel and bottle. It is pure luck that I have an excellent site for Nebbiolo, but it is by choice that Virago Nebbiolo will age for at least 30 months in Gamba large format barrels (our 2014 will be at least 42 months), and at least 6 months in bottle, before it is presented to its audience. The last paragraph of the Virago Nebbiolo story has to be acknowledgement of all of those Australian winemakers and vignerons that have been wrestling with this feisty variety for decades, thus making our road so much easier to travel. The Pizzinis in King Valley top this list, and I have been fortunate enough to taste their first 1991 Nebbiolo vintage, and have benefited greatly from all that they have learned and shared over the past 3 decades. Vinodiversity's Page about Nebbiolo including a list of Australian producers.